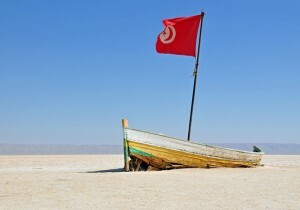 From 1st October 2014, any British Nationals travelling to and from Tunisia will be required to pay a departure tax. This is ontop of the tourist tax you pay directly to the hotels. Are the Tunisian Government trying to make extra money off tourists? What is the cost of the departure tax? The cost is 30 Tunisian dinars per person. This is approx £11-13 depending on the exchange rate. Where do I pay the departure tax? You can pay at any airport or local revenue office in Tunisia, either on the day of departure or at any point during your stay. Will I get proof I’ve paid? When you’ve paid your Tunisia departure tax, you will be issued with a stamp that must be fixed to your passport. You will need to show this to the Police control at the airport. I booked before the tax came into place, do I still have to pay? Yes, regardless when you booked, if you are coming back from Tunisia after the 1st October, you will have to pay the departure tax. I travel to Tunisia at least twice a year but after hearing that a departure tax will have to be paid when leaving the country, I don’t think I will be going again. It is bad enough having to pay a local tax to the hotel for each day you are there, and then bringing this in as well is absolute stupidity. Do they not realise that by penalising the holiday maker with these extra taxes they are heading for disaster? They need the tourists and without them they are lost. What is the problem? Many Countries charge arrival or departure tax. It is a way of helping the Country. What is £15 against a lovely holiday in a lovely Country? I love Tunisia and I for one will not mind paying it. Is it the same price for children ? What I do not like paying is the £6.50 TOLL on the seven bridge when I get home to return to WALES VIA ENGLAND.